Apache JSPWiki 2.11.0.M3 is the third release towards 2.11.0. 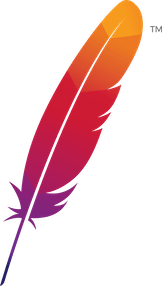 Apache JSPWiki 2.11.0.M2 is the second release towards 2.11.0. Apache JSPWiki 2.11.0.M1 is the first release towards 2.11.0. M# releases are as production-ready as any other JSPWiki release, so you should not be concerned about its stability. Please look at the VersioningProposal page to know how this label is used on Apache JSPWiki releases.